The War of 1812 (1812–1815) was a conflict fought between the United States, the United Kingdom, and their respective allies. Historians in Britain often see it as a minor theatre of the Napoleonic Wars; in the United States and Canada, it is seen as a war in its own right. Since the outbreak of war with Napoleonic France, Britain had enforced a naval blockade to choke off neutral trade to France, which the United States contested as illegal under international law. To man the blockade, Britain impressed American merchant sailors into the Royal Navy. Incidents such as the Chesapeake–Leopard affair inflamed anti-British sentiment. In 1811, the British were in turn outraged by the Little Belt affair, in which 11 British sailors died. The British supplied Indians who conducted raids on American settlers on the frontier, which hindered American expansion and also provoked resentment. 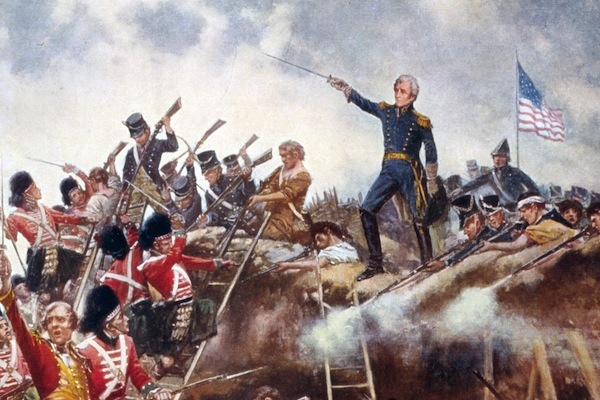 Historians remain divided on whether the desire to annex some or all of British North America contributed to the American decision to go to war. On June 18, 1812, United States President James Madison, after receiving heavy pressure from the War Hawks in Congress, signed the American declaration of war into law.